Ironing sounds like the easiest thing to do. Or at least that is the image in most societies. But today people need to take care of so many things at the same time that the most common chores sometimes simply get in the way. This leads to sloppiness and even worse – damages. If you are not careful how you handle the ironing of your clothes you might end up needing new ones. But guess what will soon happen to these new clothes as well? Yes, you guessed it right. Our ironing services Liverpool are the ones to use when you are in desperate need of proper preparation for your clothes. Ironing is not what it used to be. The aim today is to preserve the fabric and the cloth so that your shirts, suits and skirts will be able to last longer. Preparing clothes, no longer means slowly destroying them. Unfortunately, this is what most people achieve at home. We will gladly give you a hand and it won’t cost you a fortune too. We operate the finest ironing machinery known to mankind and we take exceptional care of every single item we handle. With us colour doesn’t matter. Many companies will tell you that if your clothes aren’t black you might see some alteration of the nuance. With us you don’t have that problem. Even after a hundred procedures your white shirts will remain as white as snow and as clean as a whistle. Our staff members are dedicated and hardworking. Their skill set is remarkable and they work with great patience and determination in order to achieve great results. If you are looking for a discount we can help you with that too. Since we understand that clothes need to be ironed daily or at least pretty often we will give you a great deal if you look to hire us long term. If you use our services daily you will start paying less and less but the convenience will remain the same. You can also add dry cleaning to our ironing service. We are fully equipped to conduct such a cleaning on your clothes too. This will not only assure that you put on wrinkle free clothes but constantly clean ones as well. This is such a bargain, isn’t it? 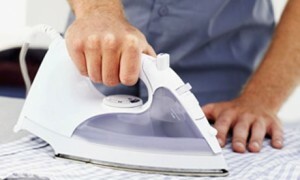 Ironing services Liverpool will conduct a very low risk job because we know what we are doing. There’s nothing we haven’t seen. We stay up to date with recent trends and discoveries in our branch and apply this knowledge daily. You are guaranteed to get the best value for your money and we will also give you your money back in case our service is not good enough to satisfy your needs. We also offer a professional gardening service.